Baoen Pagoda also known as Bei Si (North Pagoda) locates in the north of the old town of Suzhou. It was built during the Three Kingdoms period by the order of Sun Quan, the king of Wu, who prayed for the happiness of his mother. 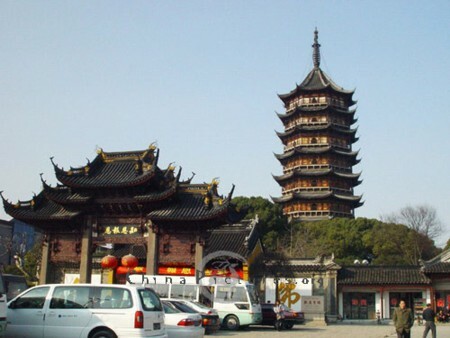 The extant pagoda was constructed between 1131 and 1162 during the Southern Song Dynasty. The brick story has 76m high. During repairs in 1960 and 1975 some valuable items, including a copper turtle, a statue of Buddha and some Buddhist relics, were found inside the steeple.